London, South East, South West and Wales, and Surrounding areas. 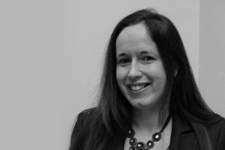 Charlotte is a Senior Consultant and Managing Director and has a great reputation in the legal market and has worked highly successfully nationally for many years, placing senior candidates with top ranking law firms. She is now regarded as a market leader in her field. She now oversees Austen Lloyd's Southern operations and is personally keenly involved in the South West, Wales and London and South East markets. Charlotte has a wide range of excellent contacts and is widely seen as a knowledgeable and discreet professional. Charlotte studied Sociology & Linguistics at University and worked in Human Resources herself before becoming a recruiter. And after some years now as a highly successful recruiter she has helped create Austen Lloyd into a market leading specialist legal recruitment agency with an enviable national reputation.